To me, the Fourth of July always signals barbecue season, so I am thrilled to have another one on the books after yesterday’s with friends. The Network of Entrepreneurial Women is hosting our first annual Meet & Munch Networking Barbecue. Since entrepreneurship doesn’t happen in a bubble, and takes a village to support, our lovely members will be bringing their significant others and staunch behind-the-scenes supporters to this super-fun summer event. The event will be held in Hyde Park, NEW co-founder Erica Thomas’ neighborhood. 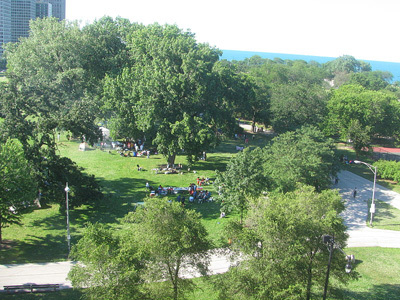 We will start the grills around 5 p.m. on Wednesday, July 10 in Harold Washington Park at 5200 S. Hyde Park Blvd. In Chicago, IL 60615, with the official start time at 6 p.m.
Bring something to throw on the grill (meat or vegetable), a dish to share, your significant other/family/friends, and business cards of course. We look forward to an evening of cooking, eating and connecting. You can RSVP at Meetup or on Facebook. 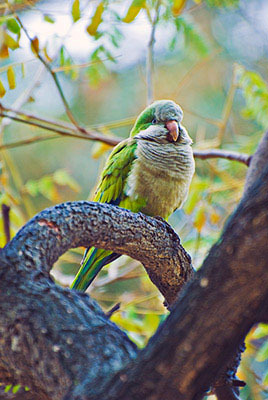 I’m also excited to see the Monk Parakeets that reside here. 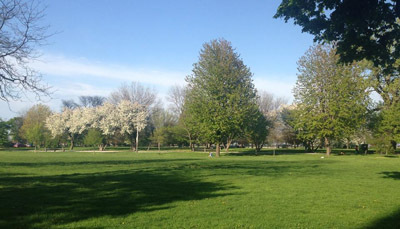 Celebrating their 40th anniversary in Hyde Park, the green parrots settled on an Ash Tree between 1973 and the 1980s, and were considered a mascot by then-mayor Harold Washington. Since then, a Harold Washington Memorial Parrot Defense Fund has apparently been set up to ensure their continued presence in the park in spite of attempts to remove this bird colony. Plus of course Harold Washington, whom I want to learn more about for another blog at another time. In 1893, Hyde Park hosted the World’s Columbian Exposition, which was introduced to me via The Devil in the White City, with the world’s first Ferris Wheel. The Museum of Science and Industry has a wonderful computer-generated White City exhibit. The Museum of Science and Industry and the Art Institute are the two remaining White City structures. Some suburbanites will combine the evening meal with a visit to the nearby Museum of Science and Industry beforehand to beat traffic. Today’s photos are all pulled from the Interwebs, since my camera has been preoccupied. 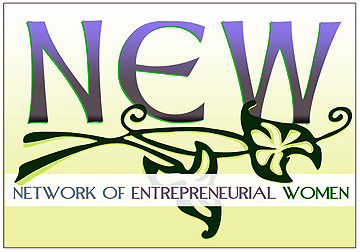 NEW – The Network of Entrepreneurial Women is a group of Chicagoland business women who are upgrading business networking with fun and creative events that inspire attendees to work together, refer each other and most of all cheer each other on as the membership succeeds. Events rotate around various suburbs on a semimonthly basis. I love that you’ve shared this historical information prior to the NEW BBQ! It makes the visit even more interesting and I can’t wait to learn more once I’m there.